Initiates and helps support educational, social, cultural, and recreational programs & facilities for the young men and women soldiers of Israel who defend the Jewish homeland. 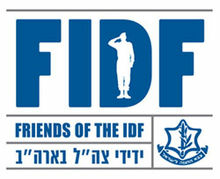 Established in 1981 by a group of Holocaust survivors to provide for the wellbeing of the men and women who serve in the Israel Defense Forces (IDF) as well as the families of fallen soldiers. Headquartered in New York City, FIDF is a 501c3 not-for-profit corporation that operates 13 regional offices in the United States and two offices in Latin America. Combined Jewish Philanthropies of Greater Boston Boston's Jewish Federation supports over 80 agencies around the world.